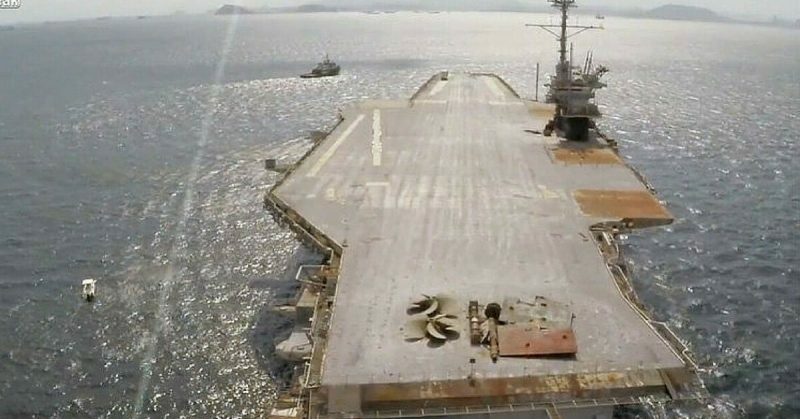 This is video footage shot using a drone that shows the USS Ranger on its way to be scrapped in Brownsville. This is very special and unique as the drone used for this footage was the last air-based vehicle to depart from the Ranger’s flight deck. The USS Ranger was a Forrestal-class supercarrier; one of four that were built for the US Navy in the 1950s. This ship was the 7th to be called the USS Ranger. The Ranger was the first built of the four that were commissioned. She was built in 1957 and spent the majority of her life in the Pacific Ocean during the Vietnam War. For her part in this War, she gained 13 battle stars. 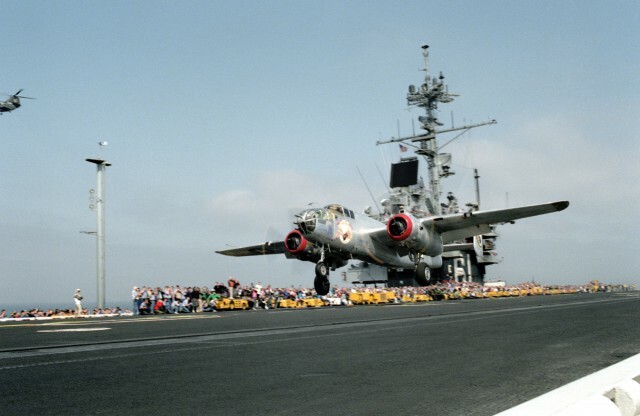 The restored World War II B-25 Mitchell bomber aircraft In The Mood takes off from the flight deck of the aircraft carrier USS Ranger (CV-61). The B-25 is taking part in a re-enactment of Doolittle’s Raid of April 18, 1942, during which 16 B-25s were launched from the aircraft carrier USS Hornet (CV-8) in the first attack on the Japanese mainland. The USS Ranger took part in a commemorative re-enactment of the Doolittle Raid (which took place in Tokyo, Japan) as part of World War 2 50th Anniversary Commemorations. This event happened on 21st April, 1992 and drew a total of 1500 guests, including veterans. Ranger famously appeared on TV and in many movies; Star Trek IV: The Voyage Home, Top Gun, Flight of the Intruder and more. She was decommissioned in 1993, on July 10th, following a total of 36 years of service. 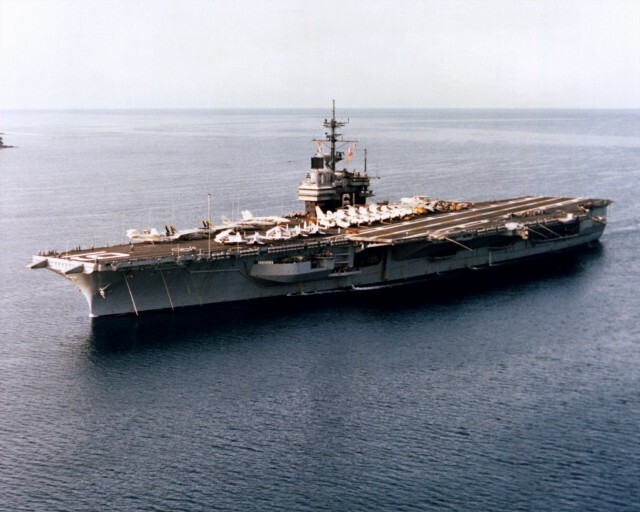 The USS Ranger Foundation (a not-for-profit foundation) submitted a proposal to Naval Sea Systems Command which offered to donate Ranger to be used as a museum ship and a facility that could serve a multi-purpose. This proposal was made in September 2010, and if accepted would mean she’d be located in Fairview, Oregon. This proposal was rejected in September 2012, and the decision was made for USS Ranger to be scrapped. The International Shipbreaking company, based in Brownsville Texas took the job on of towing and scrapping Ranger. This job was agreed on December 22nd, 2014 and International Shipbreaking were paid 1 cent for this job by the US Navy. Ranger was towed from the Bremerton, Washington around S. America, through the Straits of Magellan to her final destination of Brownsville. They were unable to go via the Panama Canal due to Ranger’s size. This epic journey took over 4 months, commencing on March 5th 2015 and was completed on July 12th 2015.